New Review of Chicken from Susan O’Connor: To purchase click here. 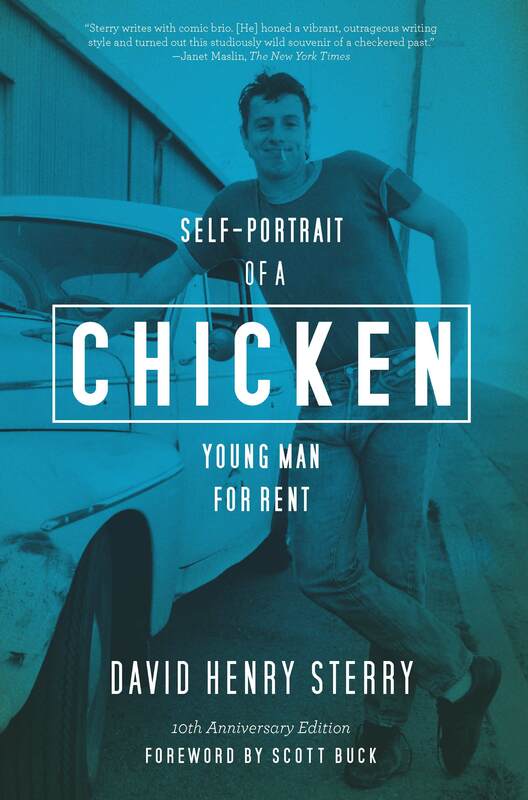 Chicken, a book being about a seventeen-year-old male prostitute in Hollywood, California during the 1970’s, is one I’d never thought I’d purchase, having no interest in that time period, location, or profession. I’d met the author and his wife (literary agent Arielle Eckstut) at a workshop run by the SCBWI. (Together they are The Book Doctors and provide a consulting service for writers). I found the couple to be insightful and knowledgeable about the writing process and the publishing industry. David was also laugh-out-loud funny so I ordered David’s book, “Chicken,” without knowing much about the content. There is something so unrotten about her. I come from a long light of toads, and it flows out of me easy as fur pie. I was trying to be coolcalmcollected about the whole thing but my heebees were having geebees. Tooling through a trendy treed Pacific Palisades neighborhood chocabloc with brown migrant workers mowing green lawns, pink children throwing red balls, and white women driving overpriced foreign automobiles, I have that wonderful sense of déjà vu all over again as I go from the seedy pit of Hollywood to the clean hightone America of my youth. Georgia lights a new cigarette off the cherry the one she holds, well another smolders from the ashtray. But I can’t listen to that voice inside of me that’s never wrong. I don’t know how yet. I’ll assassinate that part of me that cares. She’d flush me like a soiled toilet. Steak is warm and yummy, resting like a hamster in the tummy of the snake as a curling to the skank the mattress. It’s like eating taffy with no teeth. Rainbow eats it up like wavy gravy with a tie-dye spoon. This page-turner kept the stakes high throughout. In any moment he could be ripped off, humiliated, or assaulted. The only “normal” part of his life is a girl named Kristy, who he genuinely cares for. Any minute she could discover he is a “chicken” and break off the only stable relationship in his life. The ending did leave me questioning what happened next. I wanted to know: How he tear himself away from the industry? What became of Sunny? Did his parents play a role in his breaking away? (I’d really grown to be interested in them through the his childhood reflections.) I hope the author has, or will chronicle that time. This I will investigate further.